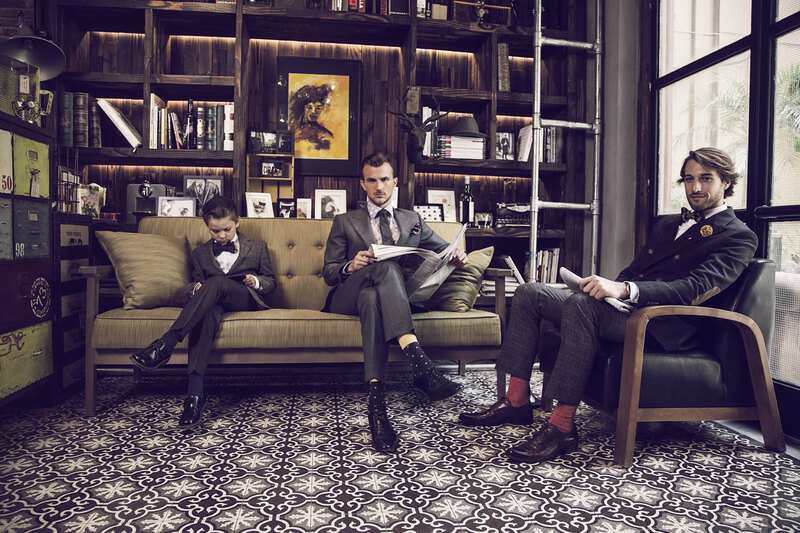 It doesn’t get more dapper than a bespoke shirt or suit, and thanks to made-to-measure e-stores like Indochino, you have the convenience of measuring yourself on your clock. Where this Vancouver-based brand can differ from its competitors is the amount of customizability one can have with a shirt or suit, which are made from the same quality materials used by Zegna and Ralph Lauren—and with an appealing price. Seriously, you can order both a custom shirt and a two-piece suit for just over $500 (Essentials shirts start at $79, suits at $449). Something pretty cool Indochino offers is a Tailor’s Kit, which is filled with 16 fabric swatches to show you the options in person, plus two measuring tapes. Available for $29, you then get a credit for the same amount to use towards an order. I ordered a shirt and will be focusing the online ordering experience of it. There are many different shirt styles to choose from, over a hundred right now displayed online, but they are broken down to either five shirt groups (solid, stripes, plaids and checks, patterns, and premium) or style collections (includes the Essentials and the new Modern Dandy, below). After picking the style and fabric, your standard shirt options include five different collars, cuffs and shirt trim fabrics, and then custom monograming if you’d like. Some shirts also offer advance customizations that can include a white collar, a chest pocket, white cuffs and/or a seamless placket. 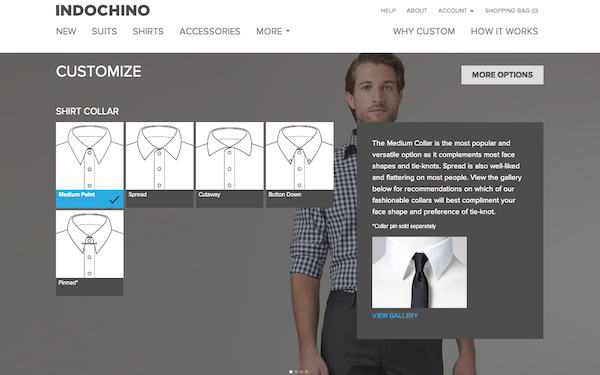 The process of customizing your shirt very simple, yet you feel well informed through the slide selection tool. It has recommended, preset choices, tells you about your different selections, and includes galleries of what these selections can look like. 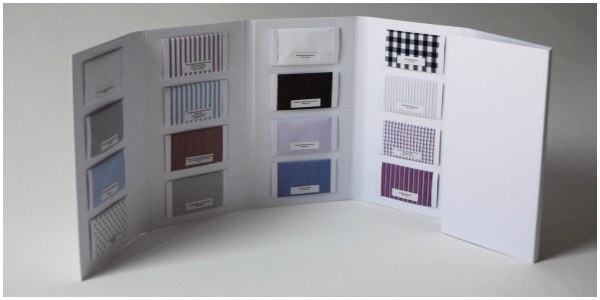 Suits, of course, have even more options than the shirts, but is just as easy with the sliding selection feature. 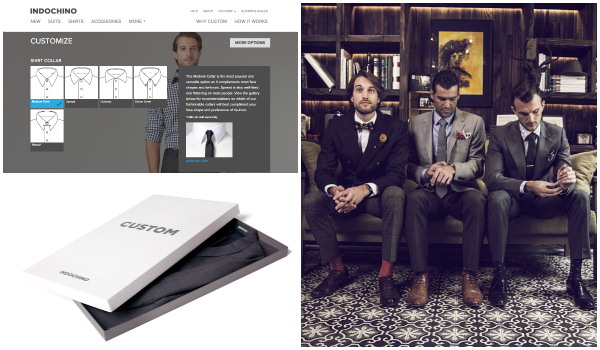 Your shirt or suit is then placed in your cart, and then you head right to checkout and add your measurements. You input basic information at first (height, weight, age) to preload measurements in coloration to what was entered. Then you update to your exact measurements. Incase you need help, there are videos that show you the proper measuring techniques. I was very satisfied with the online process and how swift it was. I was quick at selecting the style I wanted (which often isn’t the case), choosing a classic blue gingham shirt (with a light blue trim to pop when folding the arms of the shirt, since I didn’t want it be too basic). Then selecting the customizations and getting and inputting my measurements took just under 20 minutes. Which means the next time I order, since measurements are kept on file in your online account, the process will be even quicker. 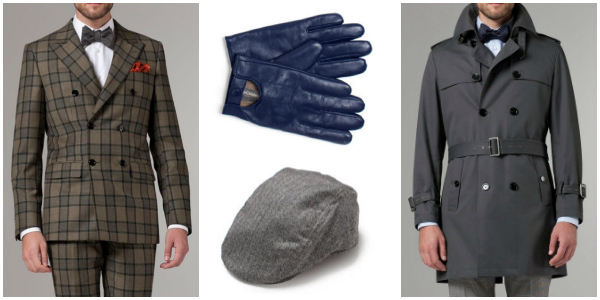 Indochino covers the shipping, and producing and delivery can take up to four weeks. However just under two days, I noticed my order was already in production and it could get here sooner than expected (always a nice surprise). If for any reason your order needs tailoring when it arrives, Indochino will also cover up to $75 in tailoring fees within 30 days of the order being shipped. Posted on August 14, 2013, in Events, Fashion and tagged Bespoke, Fashion, Indochino, Menswear, Shirt, Suit. Bookmark the permalink. Leave a comment.